Domestic abuse and immigration cause severe complications which may lead to deportation of a foreign national no matter if they are the victim of the abuse or the aggressor. One of the significant boundaries and problems with these situations is the lack of understanding English by some immigrating individuals which may increase the possible abuse or violence. Sometimes an individual that is in the country on a visa or visiting the country might be the offender. If he or she keeps the other party quiet, the relationship might continue without immigration services severing the immigrant's time available in the country. However, the victim in these circumstances often has the better opportunity to stop the violence when he or she is not as afraid or intimidated. Contacting the necessary agency and explaining the matter, with medical treatment or emergency medical assistance on file, the victim has a better chance of alerting immigration to the problem. If the person visiting the United States enters into a romantic relationship with someone that is abusive or violent, he or she may lack the necessary resources to get out of the relationship. A likely reason this person remains silent is the possibility of deportation. This possibility keeps the party quiet and compliant with the aggressor. If he or she is seeking to become a citizen of the country, any problems could result in harm to an application. So, the foreign national may instead seek to keep the situation away from immigration authorities and not speak up about the abuse. Whether the individual is the abuser or the victim, deportation is possible no matter which party initiates the violence. The more involved the person is with criminal activity, the less likely he or she may remain in the country. Naturalization is reversible even if the foreign national married a United States citizen. It is critical in these circumstances to review the domestic violence and abuse rights the victim has within the country. There are fact sheets available that explain the rights the immigrant has when married to a domestic abuser within the country. The foreign national may receive details through the International Marriage Broker Regulation Act that explains these rights and how best to proceed through domestic abuse. Whether the violence leads to criminal domestic violence or abuse charges or civil litigation to recover financially, the foreign spouse has the right to seek justice through the American courts for the actions of the aggressive spouse. It is also important to contact a lawyer that has a background in both divorce and immigration matters. When a foreign national is in a legal relationship with an American citizen, he or she may have many questions that will go unanswered without assistance. The immigration services usually provide these answers in a section of web pages available to the individual. One of the most important is what domestic abuse is and how it affects the immigrant. The pattern of violent behavior of the spouse usually requires some form of resolution that may involve the local authorities. Abuse may occur in a physical, sexual and emotional manner that may last for years or throughout the entire relationship. The other most important question for the foreign national is what rights the victim has when not a naturalized citizen of the country. Basic protections extend to the individual for both criminal and civil process that may help remove the aggressor. This could involve protection for children, removal of the abuser from the house and possible incarceration. Custody of children and even spousal support are possible in certain situations. 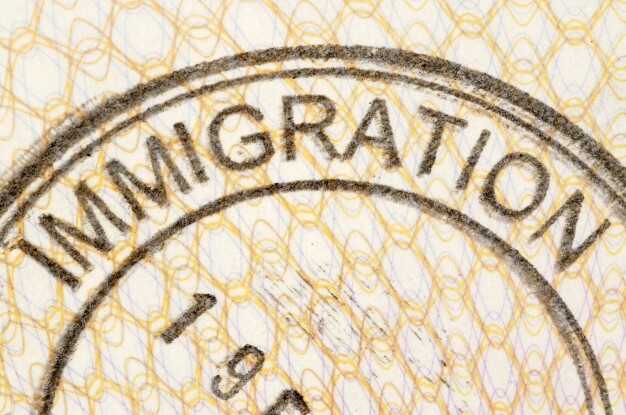 While deportation is a concern, it is imperative to seek the counsel of a legal professional. When facing abusive spouses, the foreign nationals should hire a lawyer versed in both immigration practices and possible deportation problems. The legal professional may support the individual throughout the process and to protect the rights granted to foreign nationals living in the United States through legal marriages.